Today’s guest post is from Dr Bret Wells, a great friend of the blog and what some might call….Chris’ brother-in-law. Bret is the Director of Operations for the Missional Wisdom Foundation, church planter and pastor of The Gathering church in Burleson, TX as well as the proprietor of Missional Monks – an equipping organization seeking to lead those desiring to form missional communities. We are thrilled that Bret has joined us in this guest post. Do us a favor and check out the above links and see what Bret is up to and what he has been writing. A couple years ago, my favorite undergrad professor and now favorite blogger, Richard Beck wrote a post titled “How Facebook Killed the Church.” If you haven’t read this post, take a few minutes to read through – it isn’t long. Young Christians and non-Christians tend to feel that the church is “unChristian.” Too antihomosexual. Too hypocritical. Too political. Too judgmental. That’s how young people see “the church.” And it’s hard to blame them. However, this isn’t a new critique. Previous generations of young adults felt the same way. So…why didn’t they leave? Beck’s theory: They didn’t have Facebook (and the vast social-technology universe it represents). The church’s place as the central hub for friendships is diminished by the hyper-connectivity of our mobile culture. Some readers thought Beck saw socializing as the primary purpose for the church. That of course INFURIATED folks – and, in good internet (non)etiquette fashion, they let him know in the comments. But the point wasn’t that this is what church should be focused on, or that Facebook has actually killed church (which, by the way, isn’t dead). The point is, for many people across the ages, whether we like to admit it or not, social networking has played a very prominent role in our regular church attendance (particularly as young adults). Honestly, I think the reaction to Beck’s claims about the social aspect of church miss more than the point of the post. Social interaction – authentic relationships with other people – should be absolutely paramount to the life of faith. Sadly, while we get the ice-cream socials, often that’s about as deep as the connection travels. Too often we opt for social-networking (as important as that is) to the exclusion of more significant connection (ie Alan Hirsch’s concept of communitas: relationships formed through shared mission or struggle). Part of what this post highlights (and which fits with my own experiences in ministry and church planting) is that the younger generation isn’t merely leaving the church because they’re able to get their relationships elsewhere. The problem is that while meaningful community and shared life in the way of Jesus is proclaimed clearly in the Gospels and Acts, and is discussed regularly “in church,” it is too rare for such life to exist beyond the world of language. In the past, perhaps even greatly frustrated people stuck it out because the church was still an important part of their relational network (if not the hub). Today, Facebook (representative of mobile/technological connectivity in general) has rendered the “hang out” aspect of church life less unique…so many opt out. The day of hanging out in the youth room eating pizza is no longer an impressive offering or necessary alternative to either being bored or getting in trouble. For sure “Facebook” doesn’t get at the whole issue – there are any number of reasons why young people are increasingly less involved in a church community. But this pulls back the curtain a little. I talk to people all the time who assume that young people aren’t going to church because they have no (or less) morals. Neither my experience nor statistical data supports that claim (read Beck’s follow up post – Generation Next.) I meet people all the time who have left the church but have very conventional, even Biblical, belief sets. To be sure, this doesn’t describe everyone I meet…but should I begin citing the number of “church folks” who don’t have very consistent Biblical beliefs and actions? 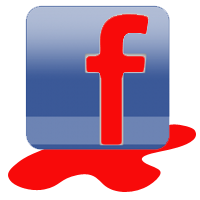 What did Facebook kill? It hasn’t really killed the church, though it may well have contributed to the church’s health (I’ll let you decide if that’s for the better or worse). It may someday help kill some of our illusions…but in reality, our illusions are not easy to kill. So, what did it kill? Probably nothing, but it makes for an interesting conversation. This entry was posted in information, Technology. Bookmark the permalink.